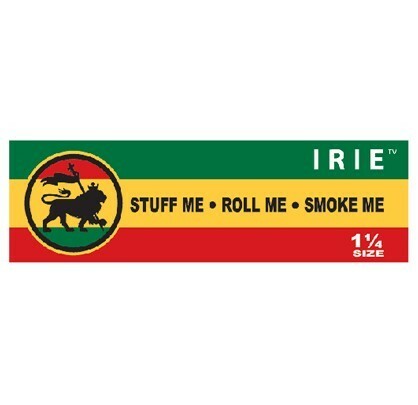 Irie Extra Light 1¼ Hemp Rolling Papers are awesome rolling papers that provide you with a really smooth smoking taste. The bold Rasta colours of green, gold and red that are printed across the packaging let you know where the roots of this paper lie, and since producing rolling papers for the Rastafarian market Irie have made sure they always meet the high standards that people have come to expect from them. You get 64 leaves with this Mamma Jamma bonus pack, each paper is interleaved and creased for easy rolling. Try a pack of great quality rolling papers with great value. We Sell Only Genuine Irie Rolling Papers.